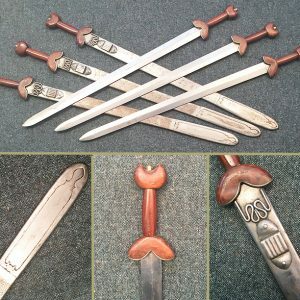 We have a good stock of Roman Swords. The most common types are the short Gladius and the longer Spatha. 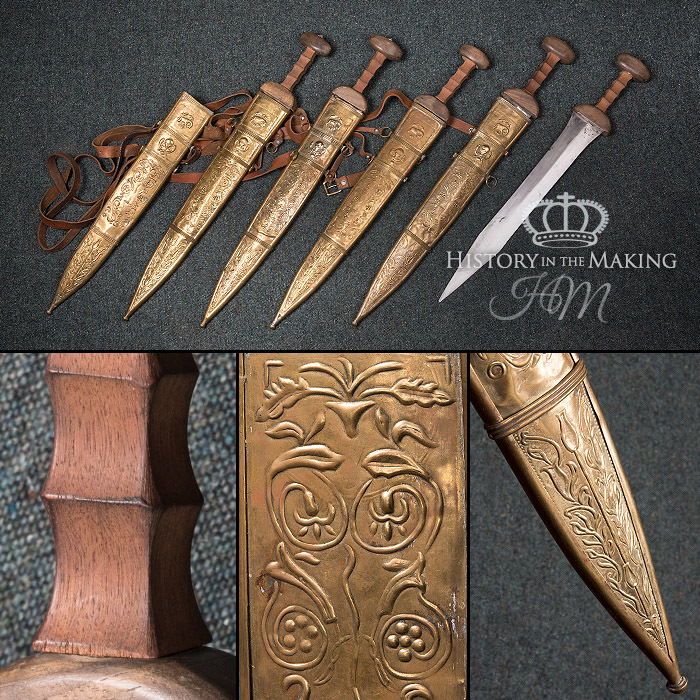 We have sets of swords which compliment our stock of Roman Armour. 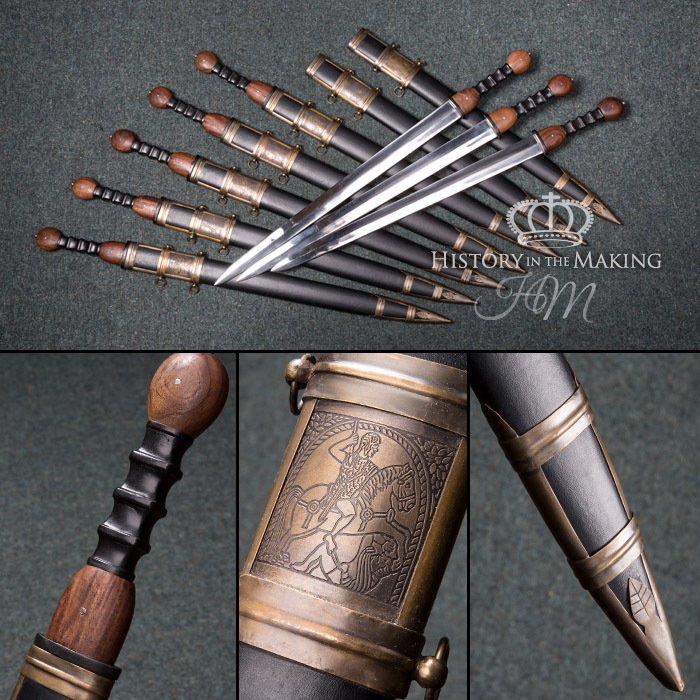 The swords are available as steel reproductions or as fight -ready swords where we have fitted Duralium Blades into the hand grips. 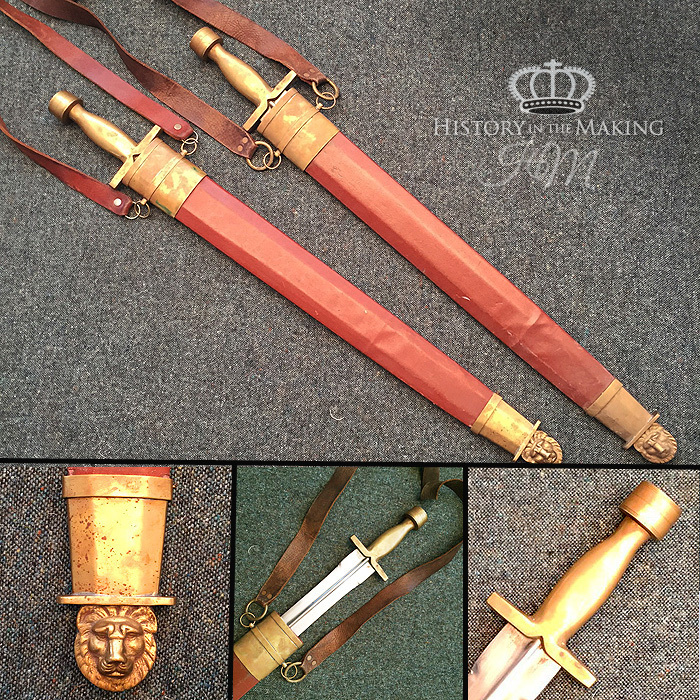 All of our dress swords are supplied in a scabbard with shoulder strap. 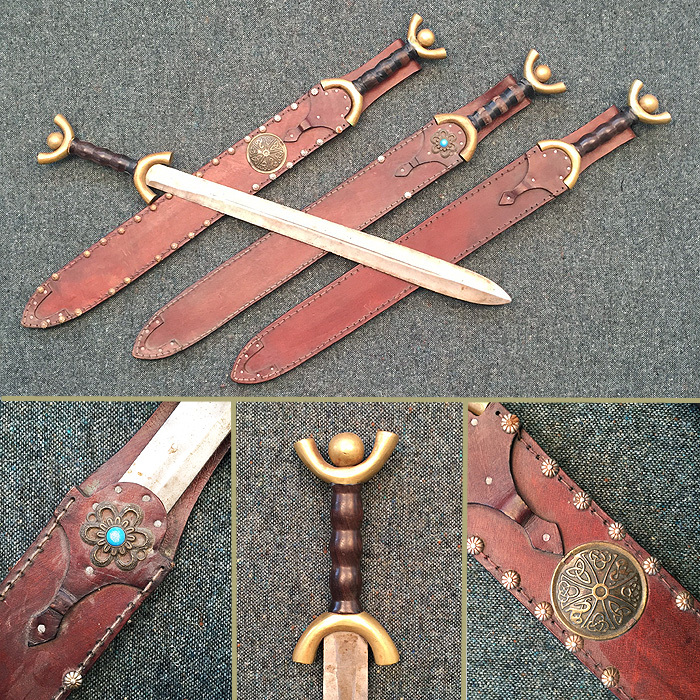 We also have a stock of Gladiator swords and Daggers which are all supplied fight -ready with Duralium Blades.